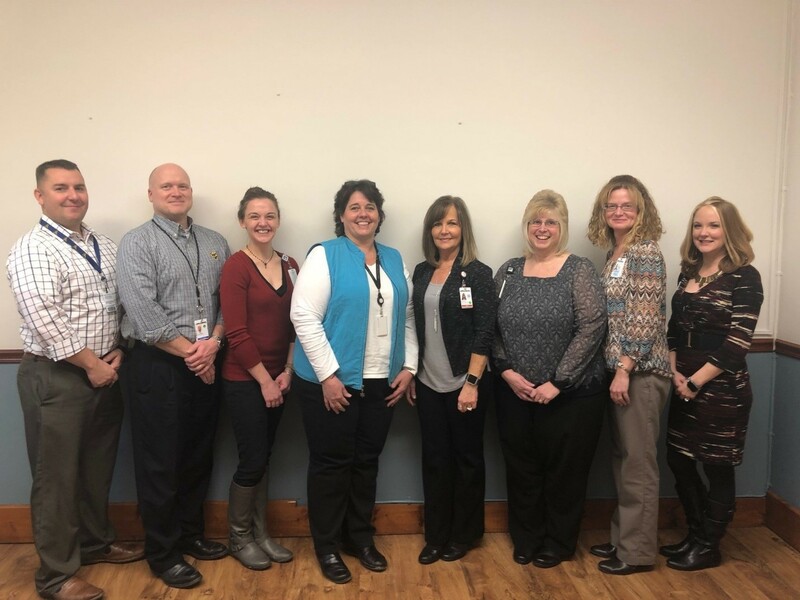 Carla Brock Wilber, Senior Consultant, with Stroudwater Associates, worked with MHHCC in 2017, through the Small Rural Hospital Transition (SRHT) project, on a Quality of Care and Transition of Care Project. Center staff spoke with Stephen Whited, CEO; Sandra Ellis, Director of QI, Risk and Patient Safety; and Brittany Frymier, Administrative Assistant, just six months after the implementation of the consultant recommendations to discuss their progress. Q: What are some of the recommendations that you’ve implemented in these first six months and what are your next steps? A: Regarding the Emergency Department (ED), MHHCC closely tracked time on “Decision to admit to the time of ED departure.” They educated ED providers concerning details of the measure and they provide the data monthly to providers and nursing staff so they can see each individual patient times and provider and nurse information. This has decreased from pre-project measure of 122 minutes to a recent low of 57 minutes. Currently, they are at 74 minutes, very close to the goal of 70. Previously, daily huddles to discuss discharge planning were held three days a week and they now conduct them five days a week and strongly encourage providers to participate. In preparation for this change, administration shared ideas with their providers about with this topic. Participation is tied to incentives. The huddles also include representatives from pharmacy, physical therapy and other disciplines relevant to individual cases. Recently the discharge planner implemented LACE tool. This is a new strategy for MHHCC and they are closely evaluating patients for risk for readmitting in 30 days. This has been very important since it’s been difficult to identify readmissions to other facilities. Internally, their readmission rates are very good (0 for 12 months) but they are most interested in preventing external readmissions. Another strategy to reduce readmissions has been to enhance their swing bed program. They developed brochures for this program and communicate this service to patients before they are transferred from the ED. They plan to increase marketing to other hospitals for referral back to MHHCC and track transfers so that the discharge planner can follow up with the receiving hospital to discuss a referral back. MHHCC believes their biggest accomplishment on the SRHT project is the improved education of providers and staff on data. The board quality committee is very involved and HCAHPS training is conducted for all supervisors. Each supervisor receives a monthly dashboard of current data to post in their departments. Q: What has been the impact of this project so far on MHHCC? Q: Lastly, how do you believe this project has helped you move forward in the newly emerging system of health care delivery and payment?